It sounds like a solicitation: Come On and move your body to the beats. Sini & RMA`s new track is a declaration of love for powerful Electronic Dance Music. With a wide range of beats and nice basses this energetic piece of Dance Music will lead your way to the floors. In combination with chilled and melodic elements as well as the distinctive feeling for rhythm of the deejay duo Come On is a track for everybody who loves great House Music. 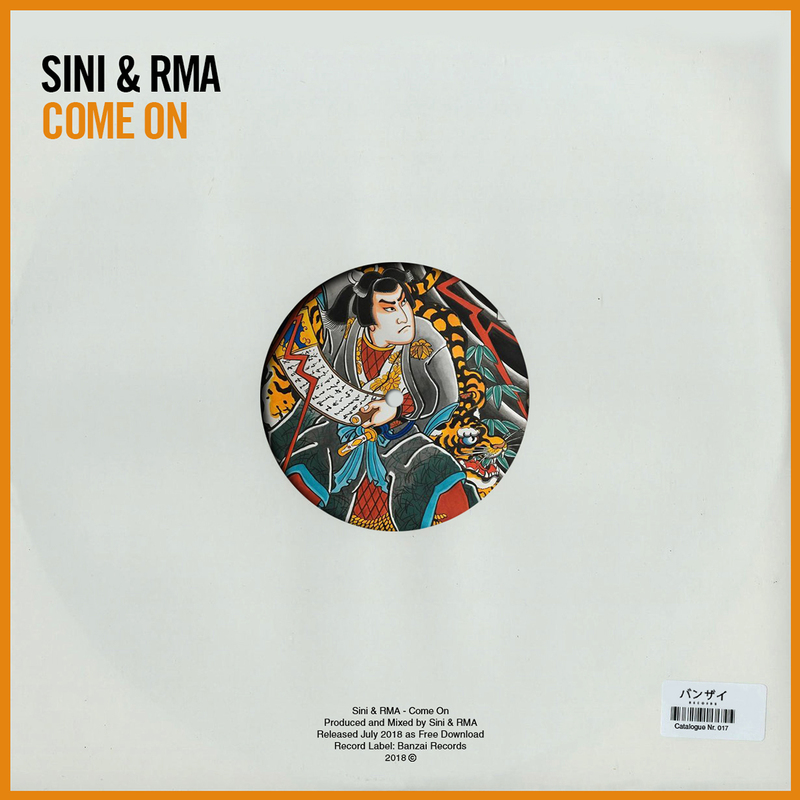 Sini & RMA certainly still now the recipe for an exceptional EDM track: With basses, short vocal elements, a catchy melody and a huge spectrum of different beats Come On can be the perfect choice for both – dancing in shady clubs or summer jams at sundown. Especially the wide range of creatively integrated beats and sounds will set your feet in motion. Also, the memorable drum and bass elements are making the new track to a special piece of Electronic Dance Music. With their wide range of different sounds all tracks by Sini & RMA are a special experience – and the new masterpiece is now ready at the starting line. Come On can be downloaded from the Electronic Dance Music service platform Beatport or at Apple`s music store iTunes. Streaming the new track is possible via Spotify and Souncloud. Sini & RMA did work together with the label Banzai Records for the first time. The new track is released by the Italian record label. “Come On”: download or stream the new EDM-cracker by the two deejays now and enjoy moving to the beat. Superb Electronic Dance Music has to be full of energy. Actually, the new track by Sini & RMA is an energy explosion with feel good elements and vibrant beats. Come On is characterized by a great mixture of beats, basses and melody. Sini & RMA`s new one will lead every friend of EDM to the dancefloor, putting smiles on faces. Come On and be ready to dance and party now.